The elegant (or lascivious, depending upon whom you ask) hack and slash fantasy RPG will require players to meet certain criteria before venturing online. This is similar to how online play in Soul Sacrifice was structured. Once you've reached a particular point in the game online options will unlock. The PlayStation 3 version will support local co-op from start up. The Vita version is another story. Both local co-op via ad-hoc and online options are locked from the beginning. This is to assure each character is strong enough for online play. Will this hurt the cooperative experience in the game? I don't think so. I think this will help balance parties through the matchmaking system over the multiple difficulty levels, allowing beginners to get a feel for Dragon's Crown before partying up online. I can also see how this will irk some players who do most of their gaming with online partners, but I'll have to get more hands-on time with the game before I can be sure. Dragon's Crown supports four player local co-op and four player online co-op. It will launch on the PlayStation Vita and PlayStation 3 on August 6th. 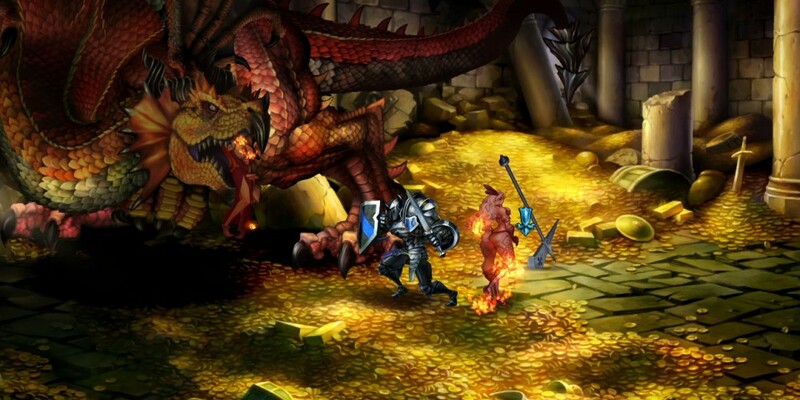 For more information on Dragon's Crown be sure to hit up our hands-on preview from E3. Our official Co-Op Review should post next week. Update: I sat down with Dragon's Crown last night. It took me most of the evening to unlock the online options. I played the game casually, followed the story, managed my inventory, and did some other superfluous stuff we'll cover in the review. According to the game clock it took me over five and a half hours to unlock online co-op. I thought maybe I was taking an extraordinarily long time because of all the beer. I asked Tally how long it took her to unlock the network options and she reported a similar play time. If you're planning on playing online you have a bit of a trek ahead of you. I'll start up a new character tonight and take a more aggressive approach. I think I can easily cut the time in half. I wouldn't worry too much about it. Dragon's Crown launches in Japan tomorrow. I'm sure five minute speed runs will be on Youtube within 24 hours. Stay tuned. Page created in 0.4296 seconds.